Hi-density polyethylene (black) with locking vandal-proof cap prevents entry of wind blown rain or snow. 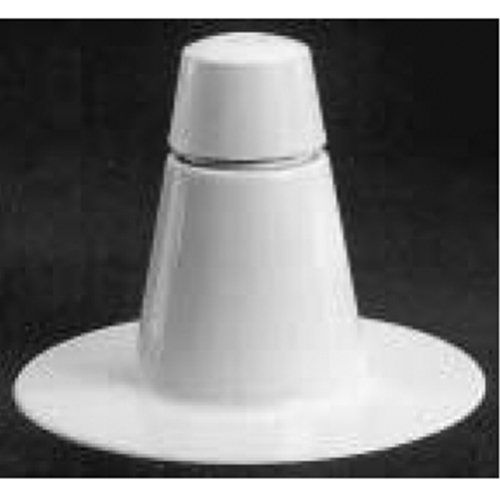 Special one-way silicone rubber valve prevents moisture from re-entering the roofing system. Also available in ABS or PVC. Overall height 8", Base opening 5-1/4", Flange diameter 10-1/2". Recommended spacing: 1 per 1000 sq. ft.